This project focuses on the work of late Fritz Seitz, who made substantive contributions to Color. In 2014 Seitz’s oeuvre was settled in the Willi Baumeister Foundation at the Stuttgart Museum of Art. Willi Baumeister is one of the most important painters of German classical modernism. He studied at the Stuttgart State Academy of Art with Adolf Hölzel, who reinterpreted the artistic pedagogy of the 19th century and helped shape that of the 20th century (The Teaching of Means). In 1905 Hölzel painted one of the first abstract paintings. Baumeister opened and generalized Hölzel’s pedagogy and theory and propagated them practically and theoretically (The Unknown in Art, 1947). Fritz Seitz was a student of Baumeister, who took his teaching approach and opened it to applied art. The purpose of this research is to rediscover their pedagogy of color, which was new at the time and could still be new today. 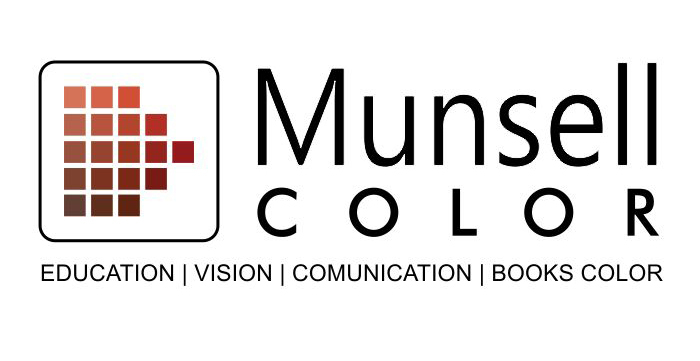 The asymmetrical Munsell Color Space presents transitional colors (browns and grays) in in relation to their pure hues. It assists in planning of practical color application. The most significant advantage is its true practical representation of color relationships. It avoids beginners assuming that different color pairs could simply be substituted based on symmetrical color wheels which are commercially available. By learning how to visualize the existence of browns and grays, it further reflects the true vector length of one color to another. More comprehensive discussion of color application vector design and a derived color model will be presented based on the Munsell Color System both my poster and my paper. It will assist and simplify the training of color application with transitional colors especially. The New Color paradigm at the University of Texas at Austin is a 21st century learning model aligned with Albert Munsell’s mission to raise awareness about the pivotal role of color, and to provide tools for impactful color solutions. Artists and educators Luanne Stovall and Leslie Mutchler will implement a large format multidisciplinary course for all majors, in concert with the 2019 Bauhaus centennial. In this work, a web-based tool that automatically adjusts the color of a user interface element, based on the change of background color, in order to preserve its color appearance, is presented. The tool that supports different versions of CIECAM model (CIECAM02 and CIECAM02-m) is build as single-page- application (SPA). To check the performance of the color adjustment and usefulness of the tool, the user can view colors in three different preview modes and change parameters of the selected CIECAM model. The user can also add colors to the palette and export their numeric values in different formats for further usage. Besides its primary practical usage, the tool also has an educational purpose, since the user can see how changing the background, affects the color appearance of an element and how different versions of CIECAM model can be used to adjust the element’s color in order to maintain color appearance. most complete execution of his color system. The exhibition led to the ISCC donating several of its members libraries - Dorothy Nickerson, Walter Granville, Howard Ketcham, I. H. Godlove - to the Cooper Union Museum Library (now Smithsonian Libraries). Saturated: The Allure and Science of Color, presented by Cooper Hewitt and Smithsonian Libraries (May 11, 2018 -January 13, 2019) includes many of these books, Hiler’s rediscovered work, and much more. Artists, designers and architects learn about colours, but the question is how much colour science (covering much more than just colour physics) should be included in their curricula. The authors of this paper (a chemical engineer, a designer, a visual artist and an architect/designer) will present a critical survey of the literature, including a review of the text books written for this public audience. With examples taken from their own respective teaching practice they will describe and discuss the main topics they consider important to be included in the curricula of future visual artists, designers and architects. including weekly readings, quizzes to check learners’ comprehension, online discussion boards, and short projects. Example modules include a color order systems activity in which students organize randomly-generated color patches into an arrangement they find intuitive and a virtual spectrophotometer that mimics the behavior of a real laboratory instrument. Students select virtual color samples to measure and download corresponding spectral data that include actual measurement variation. They then use these data for further assignments, including computing colorimetric values, as they would in an on-campus class. This contribution would take explicit several reflections from Munsell Color Study, regarding the opportunities for children to have significant color-experiences in educational context, not only as pigment experience, but also through scientific, emotional, linguistic and cultural perspectives exploring color among the interdisciplinary relations of content. What differences are there from the like colors, and the unlike ones? This is one of the essential notes of Albert Henry Munsell, from his “Plan first year” to introduce the terms of value and chroma during color lessons in the school context. The research group on Play and Colour Education at Università of Milano- Bicocca, Italy, presents the “Color Project” dedicated on the relevance of color role in the learning experience: color is undoubtedly a key feature in the life of young children. In 1967, Shigenobu Kobayashi (1925-2010) and six others founded Nippon Color and Design Research Institute Inc. (NCD) in Tokyo. Initially, much time was spent on hand-spraying the test pieces with 5000 colors according to the Munsell scale. With further research involving multiple color samples, the understanding was obtained that consumer perception and emotional reaction depended more on the commonality of tone than hues per se. Consequently Hue and Tone System was developed as a chart of 480 colors in 1969. Then, a parallel system of 130 colors was created towards commercial and educational use. The aim was to provide a pragmatic framework with the least number of colors possible for analysis and application. This result was a big step towards another psychological system, Color Image Scale. occurrences; (2) estimated derivational productivity, i.e., the number of unique monolexemic and polylexemic descriptors derived from each object name, and frequency of each descriptor’s occurrence; (3) identified categories of objects, functioning as color-term referents. In addition to analysis of the full dataset, we examined differences in color naming between speakers of different age groups, educational-level and social groups, females and males. To assess culture-specific features of object-derived color names in Russian, the outcome was compared to previously obtained data for English speakers. process, and provide digital color matching images. be provided to achieve a comprehensive colour appearance model. CIE 170-1 has defined linear relations between the CIE cone sensitivities LMS and CIEXYZ. The cone excitation chromaticities are linear transformations of LMS or XYZ divided by Y. Examples are the cone exitation chromaticities a=x/y and b=-0,4z/y with Z=S and Y=0,5(L+M). For example in the diagram (a,b) the colours of Munsell Chroma 2 are located on circles of decreasing size for Value 1 to 9. Chromatic adaptation is described in (a,b) by the Judd chromaticity shift. device independent RGB* system in ergonomics, see http://standards.iso.org/iso/9241/306/ed-2/index.html.